PA to assume full control of Gaza Strip by December under agreement signed in Egypt. 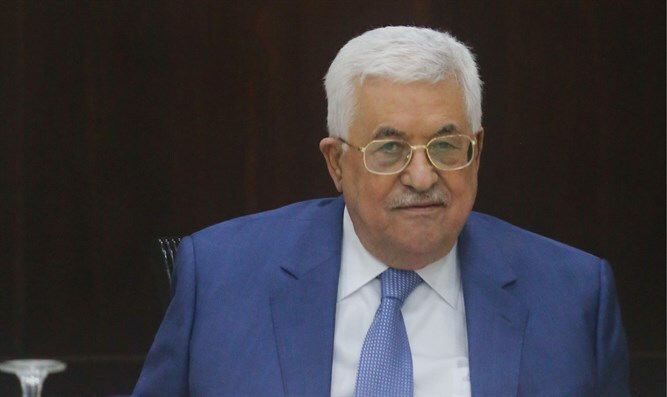 The Hamas terror organization and Fatah faction of the Palestine Liberation Organization signed an agreement Thursday on ending a decade-long split following talks mediated by Egypt in Cairo, with Palestinian Authority chairman Mahmoud Abbas calling it a "final" accord. Under the agreement, the Palestinian Authority is to resume full control of the Hamas-controlled Gaza Strip by December 1, according to a statement from Egypt's government. Abbas welcomed the deal in comments to AFP and said he considered it a "final agreement to end the division" -- though many details remain to be resolved and previous reconciliation attempts have repeatedly failed. Celebrations broke out in the Gaza Strip after the announcement of thet deal, with residents waving flags of Egypt, the PA, Fatah and Hamas. Negotiations are now expected to be held on forming a unity government, with the various Palestinian Arab political movements invited to another meeting in Cairo on November 21. An official from Abbas's Fatah movement said the PA chairman was planning to soon travel to the Gaza Strip as part of the unity bid in what would be his first visit in a decade. The deal includes 3,000 members of the Palestinian Authority's police force redeploying to Gaza, a member of the negotiating team told AFP on condition of anonymity. "All the measures taken recently will end very shortly," Zakaria al-Agha, a senior Fatah leader in the Gaza Strip, told AFP. It has fought three wars with Israel since 2008 and the Gaza Strip has seen deteriorating humanitarian conditions. But the move was seen as mainly symbolic, with Hamas still effectively in charge in the enclave of two million people bordered by Egypt, Israel and the Mediterranean Sea. Reconciliation could also pose a dilemma for international efforts to reach an Arab-Israeli peace deal since Hamas has not recognized Israel and continues to call for the Jewish State's destruction.